Pears pears pears! I made a pear crisp only a couple weeks ago, and here I'm at it again with a pear spice cake! That's what happens when you buy a Costco-sized bag of gigantor pears and you are but one little person. Next time I should try roasting them, right? But I've used them all up for now, so this will have to sate the other pear lovers out there. 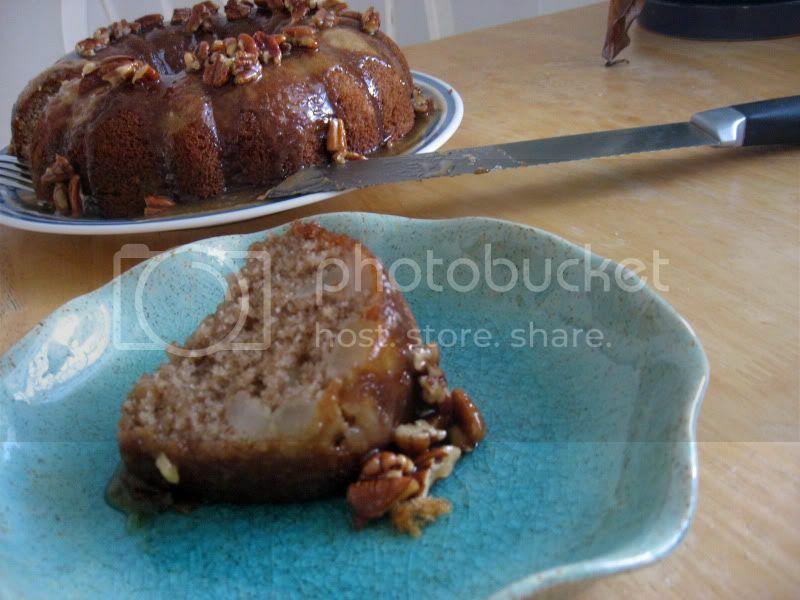 I found this recipe over at Joy the Baker, only she used walnuts instead of pecans. 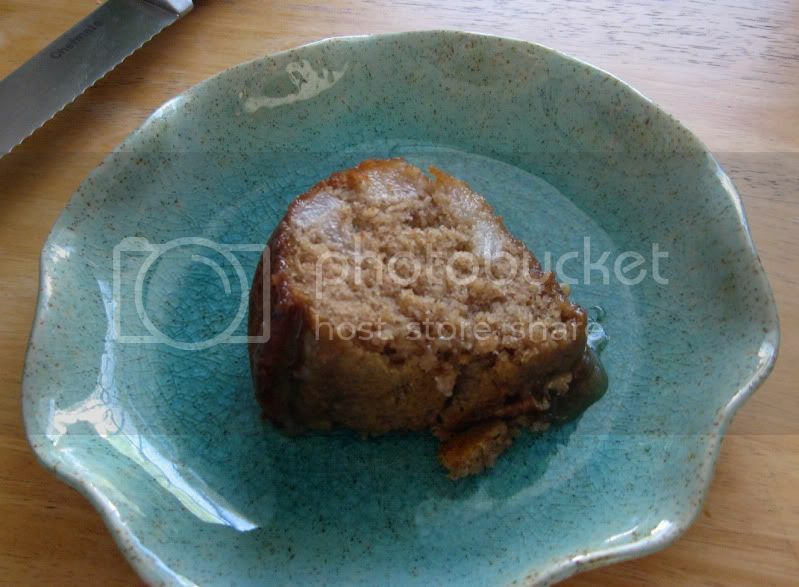 She also included chopped walnuts in the cake itself, which is just something I don't approve of generally speaking. That's like brownies with nuts. Gross. I'm sure a lot of you out there loooove walnuts, but you know what? Blegh. Walnuts are right up there with onions and pineapple and coconut for me. Hmm. Maybe I've said too much. You've lost all respect for my palate, haven't you? Oh well! More for me, then! 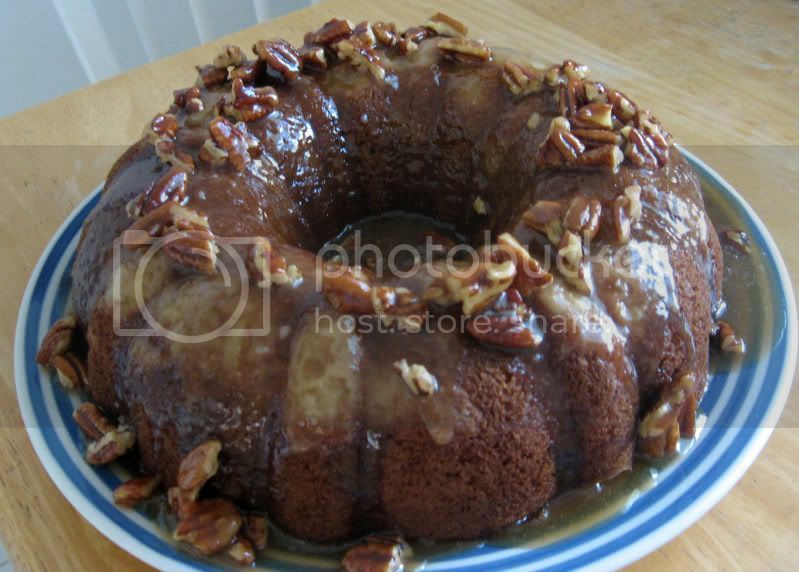 But in all seriousness, this cake is super moist and delicious, and if you don't make some kind of brown sugar amazingness topping, you will be seriously missing out. Put oven rack in middle position and preheat oven to 350°F. 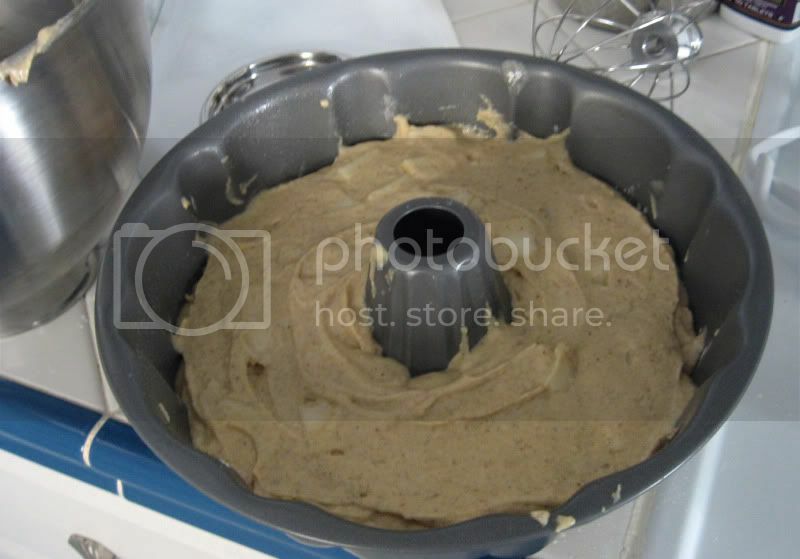 Butter and flour bundt pan. 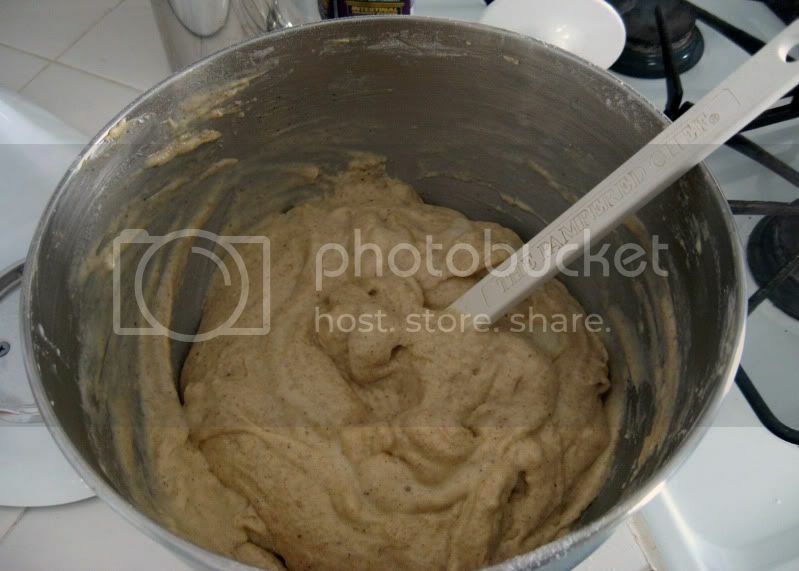 Sift together flour, baking soda, baking powder, and salt into a bowl. 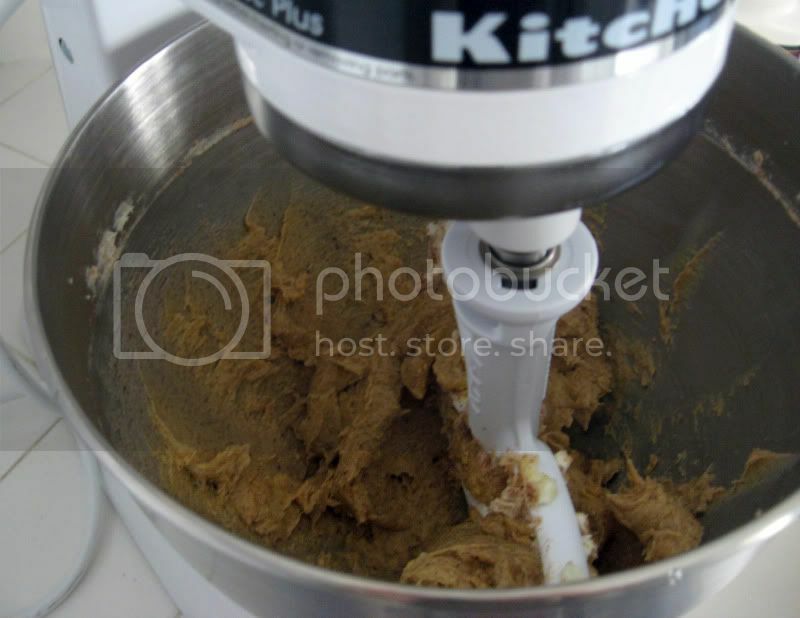 Beat together butter, sugar, cinnamon, allspice, and nutmeg in another bowl with an electric mixer at medium-high speed until fluffy, about 3 minutes in a standing mixer or 4 with a handheld. Add yolks 1 at a time, beating well after each addition, then beat in vanilla. 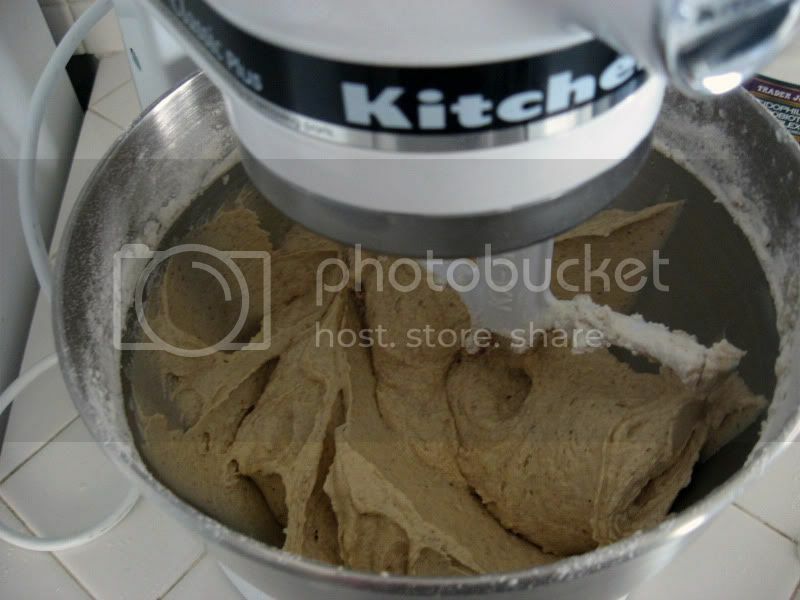 Reduce speed to low, then add flour mixture and buttermilk alternately in batches, mixing well after each addition. Fold in pear pieces. Beat egg whites in another bowl with cleaned beaters until they just hold stiff peaks, then fold whites into batter gently but thoroughly. Spoon batter into pan, smoothing top, and bake until a wooden pick or skewer comes out clean, 40 to 50 minutes. 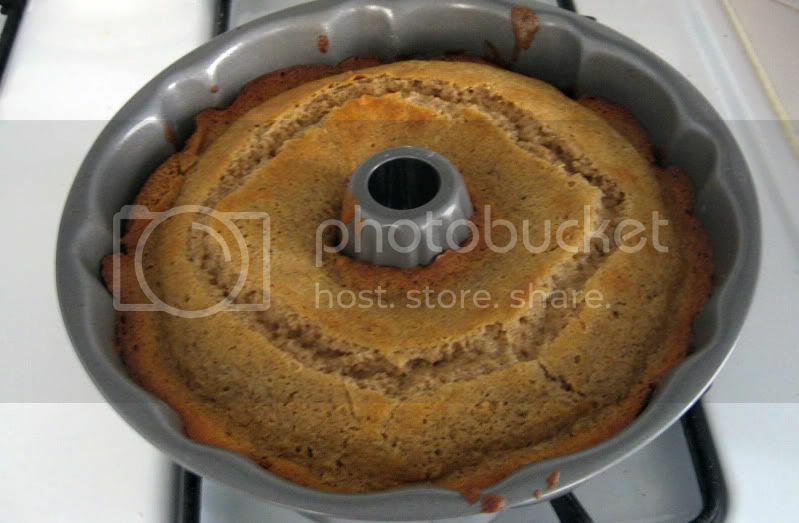 Cool cake in pan on a rack 10 minutes, then invert onto rack and cool completely. Stir golden brown sugar, whipping cream and 1/2 cup butter in heavy medium saucepan over medium-high heat until smooth. Boil 3 minutes, stirring often. Stir in pecan pieces. Spoon warm topping over warm cake. Serve warm or at room temperature. Sugar and spice and everything nice. Incidentally, I didn't have any all spice, and the cake still tasted great, but I think the all spice would've given it that extra oomph, so I recommend you use it if you have it. Flour mixture added in. Look at how fluffy it's getting! With the pears and egg whites mixed in. I didn't beat my egg whites as long as I should've, but I was doing it by hand and I was impatient. It's ready to go into the oven! I forgot to take photos of the process of making the topping. Whoops. My topping is runny. I should've let it sit out a little bit and it would've thickened up. Thanks - the topping really was the best part of the whole thing!